Let me be frank here, the issue of our climate changing is not in question. Historical evidence suggests the climate of our planet has continually evolved and changed and it always will. I also accept that there is a large and very vocal group of people that demand governments across the world do something about it. But exactly what is causing climate change and what – if anything – should we be doing about it should remain the subject of debate. I also want to be clear, that I am not here to debate the science. That is for those who are far more qualified to do so. But as a legislator, I must be prepared to consider all the available evidence and make decisions that are in Australia’s best interest. But to make the best decisions, to make an informed decision, there needs to be an open debate about cause and effect. We need the duelling scientists. We need to question the prevailing orthodoxy of belief, just in case we are experiencing another event (like so many throughout history) where mankind has been caught up in a mania of irrational belief. And that is why I support the Lavoisier Group and their work. They are singularly focussed on providing a balance to the debate about the cause of climate change and what we can and should do to respond to it. The publication, Thank God for Carbon is a key element of that debate. 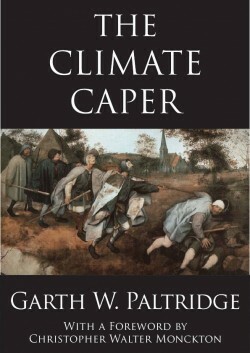 It provides a concise and objective view about the role of carbon and its link to climate change. Covering five main topics, Thank God for Carbon defends and reaffirms carbon’s role as an element vital for life and not the diabolical foe that carbonista’s would have us believe. Ray Evans succinctly reveals the history of climate, carbon’s role in life and nature, the role of the sun, the IPCC and the politics played through the climate change debate. Much of this debate has centred around the computer models that climate change activists have been using to predict our climate fate. In my previous role as an investment manager, we also used computers to predict probability of profits and losses. Just as these models failed to predict the global financial meltdown we are currently experiencing, the carbonistas computer generated models have not been able to predict or explain the climate we have experienced over the past decade or so. This of course has proved to be another inconvenient truth for the church of climate change and its disciples but they remain undeterred in their advocacy for radical action. The challenge for Australia and the Australian parliament is to examine the facts about climate change and not just the opinion polls. This includes the growing body of scientific opinion that conflicts with the previous work that has driven public awareness in recent years. Whatever action we as a nation undertake in response to climate change needs to be carefully considered. Any action we take needs to be based on a ‘no regrets’ policy. 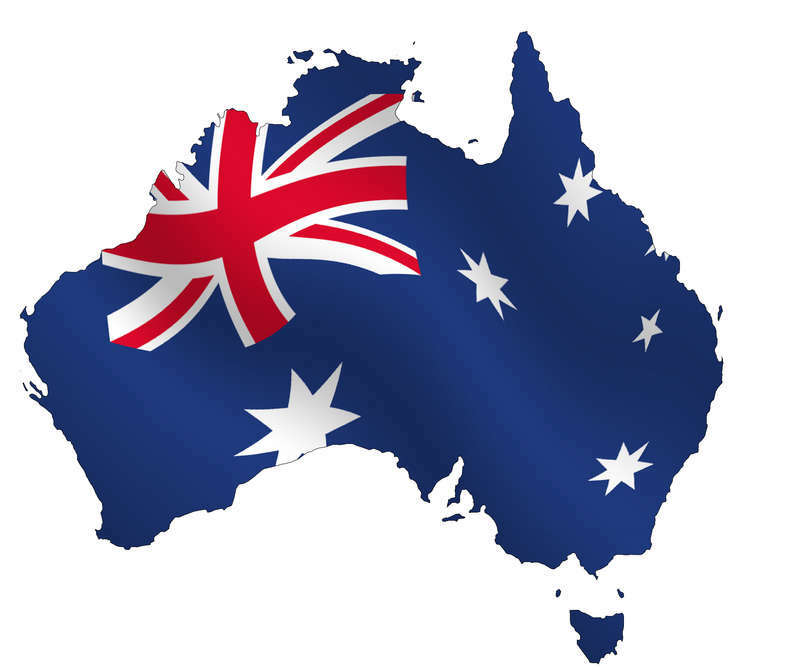 This means that if anthropogenic climate change is ultimately exposed as a falsehood, Australia will still derive long term benefit from prudent policy decisions. We can only make these prudent policy decisions under the framework of an open and transparent debate about the implications of specific action and non-action. Read the full text of Senator Bernadi’s speech. In September 2008, Joanne Nova released “The Skeptics Handbook”. Also, as an aside, I found the below post on Jo’s site very entertaining! Leo Elshof from Acadia University in Nova Scotia* has written to me asking that I put a comedy disclaimer on the Skeptics Handbook, and otherwise threatens to ridicule me at international conferences and set the media onto me. The email is here and my reply is below. What have our universities sunk too? Does having a PhD mean anything anymore? I am writing to you for some clarification regarding your ‘Sceptics Handbook’ on climate change. A student of mine stumbled upon your ‘Sceptics Handbook’ on climate change and passed it on to me. Upon my first reading I thought surely this is a spoof, you’re having a good a good joke on the scientific community! I won’t waste your time listing all the scientific and logical deficiencies that riddle this document because I believe that you created ‘The Sceptics Handbook’ as a spoof to test the readers level of scientific literacy. I told my graduate student that anyone with a bachelor’s degree in science—specialising in microbiology and molecular biology nonetheless, would surely not pretend to challenge the world’s scientific community’s consensus understanding on climate change. 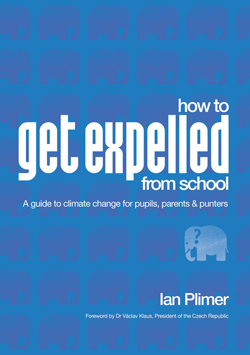 I also explained to the student that the author wouldn’t really be so arrogant as to dismiss the work of thousands of peer-reviewed scientific articles by climatologists, glaciologists, paleobotanists, oceanographers, mathematicians etc. I was certain that was simply a misunderstanding, a little spoof gone too far. I told him that the notion that Joanne Nova, a self-proclaimed ‘performer’ and “specialist on anti-aging, genetics and the future of medicine” has identified a blind spot upon which years of hard-won scientific research can now be discounted, is too preposterous to imagine . But more to the point, I would please ask that you confirm asap that your ‘Handbook’ is indeed intended as a spoof and should be interpreted as such. At this point in time this is the only rational conclusion I can reach concerning your work. If this is the case I’ll have a good laugh and only ask that you put a comedy disclaimer somewhere on your website to attest to this fact . 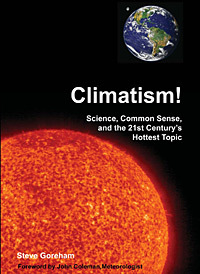 If on the other hand, you tell me that your ‘Sceptics Handbook’ is genuinely intended as an educational ‘guide’ to understanding the so-called climate change ‘debate’, I will have the enormous pleasure of ridiculing the ‘Sceptics Handbook’ in front of an international audience (in your own country) as one of the most egregious pieces of junk science disinformation that I have ever had the misfortune to come across. If this is indeed the case, I will also endeavour to encourage the media to follow up by asking how an author who holds such a distorted misunderstanding of how basic science actually produces knowledge, can also pass themselves off as a science ‘educator’ and ‘communicator’ in any genuine sense of the word to children nonetheless? I have no doubt that my Aussie education colleagues will appreciate having a good laugh at the banality of their own homespun sources of junk science disinformation and stupidity. This alone promises to be great fun. Your attempt to intimidate me provided me with a good laugh. Thank you. Upon first reading your email I thought surely this is a spoof! A man with a PhD in Education would not seriously ridicule a scientific commentary with such poor reasoning, outright threats, and so little evidence? Referring to my work as variously being “preposterous, banal, stupid, distorted, arrogant, presumptuous, and an egregious piece of junk science information” is all ad hominem. Is that the best scientific argument you can come up with? Likewise, vague references to ‘thousands of scientists and peer reviewed papers’ and allusions to a consensus are arguments from authority and equally poor. You appear to have spent more time reading my CV than looking at the science. I’m flattered, but respectfully point out that my qualifications have no influence on the radiosondes, satellites, CSSP graphs or IPCC documents I refer to. Letters like yours expose the unscientific Pro-AGW tactic of silencing dissent. Good for me. Embarrassing for you. Have you a religious belief in AGW that helps you justify this unscientific behaviour? I sympathize. I’m delighted you are coming to Australia and want to draw attention to the Skeptics Handbook. I invite you to publicly debate the AGW theory and the importance of teaching scientific reasoning at school. I am gravely concerned about our children’s future. Without learning to reason I fear they will fall victim to hype, scam, exaggerated threats, and false assurances. Your letter has inspired me to find other ways to help children defend themselves from con-men, poor curriculum’s, and well meaning academics. Does Acadia university have a policy about the role of logical inference in education? I’d be most grateful if you could forward it to me. Wishing you lots of fun laughing at my expense. But I warn you against trying to impress anyone who understands rhetoric. You are your own best example of why argument from authority is always fallacious. BTW: If you had read the Handbook, you’d note I made no claims to having personally found the holes in the popular theory of AGW. Greater minds than mine deserve that credit. PS! Please write and confirm immediately that you meant to send this from your home email. Arcadia University would surely prefer not to be associated with an attempt to stifle scientific debate and free speech, nor with a document that does not reflect well on the education of it’s educational staff. UPDATE: As of Jan 9, 2009. Still no reply to me from Leo. Perhaps Acadia Uni has no policy on teaching logic and reasoning? *Correction: Leo is based at Acadia Uni, Nova Scotia, (not Arcadia Uni). Thanks, J.Knight. This must be it, surely, the point where being a skeptic has more scientific cachet than being a believer. The trickle is becoming a flood. We are reaching the stage where independent scientists will want to make sure they are known to be on the skeptical side of the fence. Theon joins a growing list of over 650 prominent skeptics. Here’s how the list is becoming a story all of it’s own, and the drive to publicly announce skepticism is picking up pace. Dec 11, 2008: Marc Morano released an updated list of 650 skeptics, it’s a 230 page pdf file with quotes and qualifications listed from skeptical prominent scientists that even includes past and present IPCC authors. As people became aware of the list, the clamour began from those who want to join in. 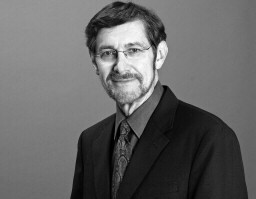 11 scientists joined the list in the next two weeks including Dr Schaffer, and Dr Happer (below). Dec 22, 2007: Dr Will Happer, Professor at Princeton University and former Director of Energy Research at the Department of Energy from 1990 to 1993, and has published over 200 scientific papers. January 7th, 2009: Jack Schmitt—the last man to walk on the moon, announced he was a skeptic. Back then, being a skeptic was supposedly equivalent to being a nut-case. Now, even those who’ve landed on the moon dispute the concensus. The momentum is growing. History will record this cold northern winter as the season when being known as a skeptic became scientifically hip, and being labelled a ‘believer’—scientifically uncool (as it should be) . I say: scientists everywhere, be proud of our standards, stand up and be counted. Rise against Dark-Age-reasoning, political pressure and the call of government grants. Add Barack Obama to the list of global warming preachers who demand you make do with less of the stuff they can’t do without. We can’t drive our SUVs and eat as much as we want and keep our homes on 72 degrees at all times … and then just expect that other countries are going to say OK,” Obama said. “That’s not leadership. That’s not going to happen. HERE is a local variant, albeit not so manifestly hypocritical, from the green rabble that now runs blacked-out, brown-lawned Victoria. With the extreme hot temperatures it’s important that people are sensible, that they only use air-conditioners and the like when they need to. THE State Government says a press release urging people to use alternatives to air conditioning during a 40C-plus heatwave was merely intended to save you money…. Citing our community’s environmental responsibilities, the Government today put out a press release saying there were many alternatives to using air conditioners, urging South Australians to instead insulate ceilings, use external blinds or a pergola to shade windows, and use fans. PREMIER Mike Rann has invited South Australans into public service office buildings to take advantage of their air-conditioning today. Smart-meter trials currently being conducted by retailer Energy Australia put a $2 a kilowatt/hour charge on energy used during days when the network is under pressure. Under the trial, the charge is applied for a duration of six hours on those days in a move designed to avoid blackouts by getting consumers to switch energy use to off-peak times. The air-conditioners in most Australian homes average 6.5 watts, meaning the cost of running the unit for those six hottest hours would be about $78 a day. If your home has ducted air-conditioning, which averages 14.5 watts, then your power bill would hit $174 a day just for running the air-conditioner alone…. Victoria will lead the national roll-out of smart meters with its 2.7 million homes and businesses the first to be equipped with the infrastructure, no later then 2013. Have they worked out yet how many people their green plans will kill? Anthropogenic Global Warming: The Greatest Fraud in History? I’m not a climatologist. Like most scientists I rarely judge what others do in their fields. And yet it’s been flamingly obvious for years now that the hypothesis of human-caused global warming violates all the basic rules and safeguards that protect the integrity of normal, healthy science. That’s why AGW (anthropogenic global warming) looks like a massive fraud, the biggest fraud ever in the history of science. So here are some fundamental violations of scientific integrity that any thoughtful person should recognize. I’m not going to touch on climatology — the case against the warming hypothesis has already been made very well by experts. I just want to talk scientific common sense. Scientists get seduced by enticing ideas and bits of evidence all the time. That’s why every scientist I’ve ever known is a thorough-going skeptic, even about his or her own data. Especially about one’s own data, because one’s career is on the line if it doesn’t check out. So we need skepticism in ourselves and others. Good science honors the rational skeptic. Which is why it’s beyond outrageous that AGW believers are publicly attacking thoughtful skeptics — not on the facts, but on their sheer temerity in doubting their precious orthodoxy. That is Stalinism; it is never, ever done in real science. Stalin shot real scientists and promoted scientific frauds who helped to kill Soviet food production. Right there we know we’re looking at political corruption and not real science. In 1908 Adelaide had its hottest heatwave, with six days of temperatures over 40 degrees. Question for Penny Wong: if climate change is responsible for the current Adelaide heatwave, what caused the heatwave in 1908? UPDATE. In chilly Detroit, one poor fellow could really have used some warming. What these two authorities, Drs Theon and Armstrong, are independently and explicitly stating is that the computer models underpinning the work of many scientific institutions concerned with global warming, including Australia’s CSIRO, are fundamentally flawed. 1. No scientific forecasts of the changes in the Earth’s climate. Currently, the only forecasts are those based on the opinions of some scientists. Computer modeling was used to create scenarios (i.e., stories) to represent the scientists’ opinions about what might happen. The models were not intended as forecasting models (Trenberth 2007) and they have not been validated for that purpose. Since the publication of our paper, no one has provided evidence to refute our claim that there are no scientific forecasts to support global warming. We conducted an audit of the procedures described in the IPCC report and found that they clearly violated 72 scientific principles of forecasting (Green and Armstrong 2008). (No justification was provided for any of these violations.) For important forecasts, we can see no reason why any principle should be violated. We draw analogies to flying an aircraft or building a bridge or performing heart surgery—given the potential cost of errors, it is not permissible to violate principles. The Space Shuttle Weather Forecasting Advisory Panel, chaired by Dr. John Theon, was established by NASA Headquarters to review existing weather support capabilities and plans and to recommend a course of action to the NSTS Program. Included on the panel were representatives from NASA, the National Oceanic and Atmospheric Administration (NOAA), the Air Force, and the National Center for Atmospheric Research. For those just joining the climate discussion, Dr. James Hansen is the chief climate scientist at NASA Goddard Institute for Space Studies (GISS) and is the man who originally raised the alarm on global warming in 1988 in an appearance before congress. He is also the keeper of the most often cited climate data. Washington DC, Jan 27th 2009: NASA warming scientist James Hansen, one of former Vice-President Al Gore’s closest allies in the promotion of man-made global warming fears, is being publicly rebuked by his former supervisor at NASA.Retired senior NASA atmospheric scientist, Dr. John S. Theon, the former supervisor of James Hansen, NASA’s vocal man-made global warming fear soothsayer, has now publicly declared himself a skeptic and declared that Hansen “embarrassed NASA” with his alarming climate claims and said Hansen was “was never muzzled.” Theon joins the rapidly growing ranks of international scientists abandoning the promotion of man-made global warming fears. 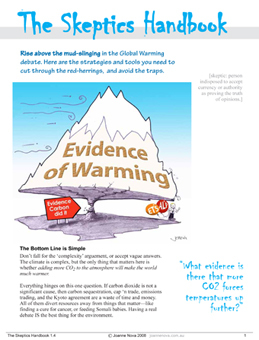 On their headline messages page they have a list of global warming predictions and supporting evidence. In this article we will examine some of their claims and evidence. Evidence: Total summer precipitation has decreased in most parts of the UK, typically by between 10 and 40% since 1961. 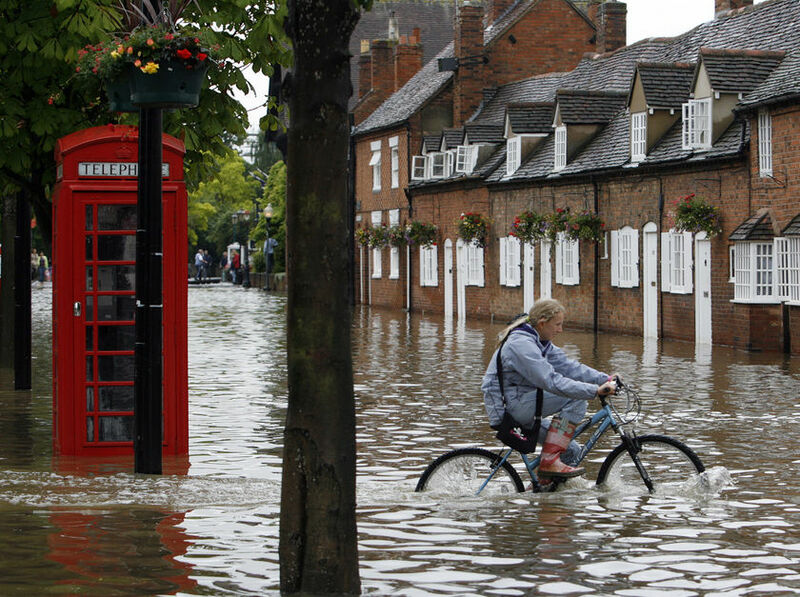 According to the UK Met Office, the summer of 2007 was the wettest summer on record. Summer, 2008 was the wettest on record in Northern Ireland, and broke many local rainfall records in England. The last hot day in London (30C or 86F) was on July 27, 2006. London is normally one of the UK’s warmest locations in summer, and it has been 915 days since London has seen any “hot” weather. Evidence: Average winter temperature for all regions of the UK has risen by up to 0.7 °C since 1914.. This winter has not only been unusually cold, but it has also been unusually dry in the UK. The South Australian Government is urging people not to use their air conditioners as the state swelters in three days of 40C-plus temperatures. The Ambulance Service says a heatwave expected to sweep across much of Victoria, Australia, in the coming days could prove deadly. Victorians are being urged to prepare for the possibility of bushfires and to minimise the health risks of the heat. Ambulance Victoria operations manager Paul Holman says it is feared the conditions will claim lives. “This is unprecedented; we know what happens when we get a couple of hot days, particularly with the elderly and the chronically ill,” he said. Just don’t use your air-conditioner!